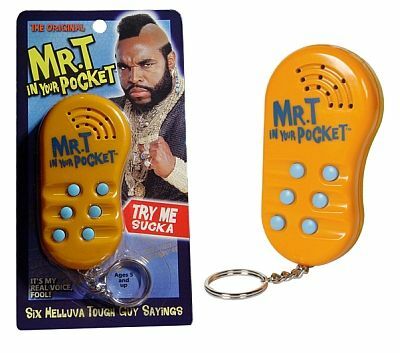 Mr T in Your Pocket - Talking Keychain - Goofts, funny gifts, gags and pranks. "I pity the fool that doesn't buy this keychain!" Mr. T is the man! Now you can act like the man too with this talking keychain, it says 6 different phrases from the mohawked wonder.